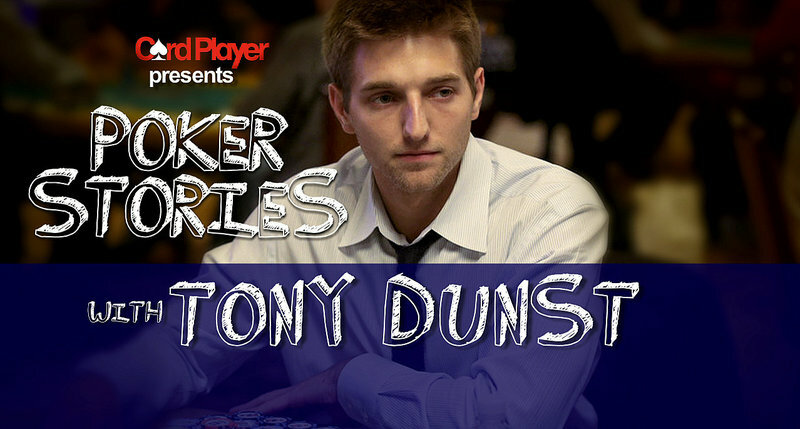 Tony Dunst knew he wanted to be a poker player before he could even legally enter a casino. His dream became a reality and the Milwaukee, Wisconsin-native has put together a solid poker resume with $2.9 million in live tournament earnings and another $1.9 million online. He won his World Series of Poker bracelet in 2016 and even has a World Poker Tour title from 2013. These days, Dunst considers himself to be more of a broadcast personality than a professional poker player. After longtime commentator Mike Sexton stepped down from the WPT to become Chairman at PartyPoker, Dunst was promoted to the full-time commentator spot alongside Vince Van Patten. Highlights from this episode include taking over for a poker legend, why Phil Hellmuth is the way he is, the glamorous world of gambling, being a sandwich artist and selling shoes, being banned from Australia, loneliness in Shanghai, being backed by a 17-year-old, being a WPT employee and champion, and throwing half his buy-in in the trash. Catch up on past episodes featuring Daniel Negreanu, Nick Schulman, Bryn Kenney, Mike Sexton, Brian Rast, Jean-Robert Bellande, Scott Seiver, Greg Raymer and more. If you like what you hear, be sure to subscribe to get the latest episodes automatically when they are released.